30 June 2002 Anne- I'd love to use you for freelance. All the best to you and good luck. Thanks very much for sending the article, and for the update on your plans. Have you made plans for your next gig yet, or are you going to take a break form the workaday world? I have it in mind somehow that you are a musician (sorry I don't remember the details). Maybe you have decided to focus on artistic pursuits? My compliments on your amazing website! quite a lot to read and lots of beautiful pictures. I saw from http://www.analyticalq.com/books/saletechnical.htm that you are selling some books on finance and options. Was considering buying some... not sure which ones yet, but before I get my hopes too high, have u still got most of them? have u got an updated list or shall I just tell you which ones I am interested in? Now that you have quit your moneymaking job, how do you make a living? I guess that you have made enough saving if you don't work for another company and you don't make money on writing, composition, performance or your other talents. My, that is impressive. You put that together yourself? And, what an array of music and articles...Now, I'm kinda wishing that you had come to Boulder. Or, that me and 200 of my colleagues really were coming to your going away party in London. Sorry, I was just fibbin' earlier. We really can't make it. Although I'm not sure what you and your English friends would do anyway if we all showed up--probably buy us a pint and have a bit of a chat I suppose. Nonetheless, best of luck. Why are you leaving? On to greener pastures I suppose. We will miss you. Well, I am sorry to hear you weren't able to come visit us here in Boulder. You would have had a lovely time. We are a hard-working bunch (mostly single, athletic men) who like to take two hour lunches to ride our bikes or go for a run. Our office looks out on the mountains, so if we are actually in our offices, we generally like to look longingly at the mountains dreaming of the weekend so we can go camping and climbing. Everyone is very casual and likes to wear shorts and sandals to work. After hours, we have fun. What more is there to life? You really should come visit before you leave. I just looked at your website, and it seems you're leaving your present employer. What's up? Where are you going? I am writing to you on behalf of Chancerel Publishers in Great Britain. 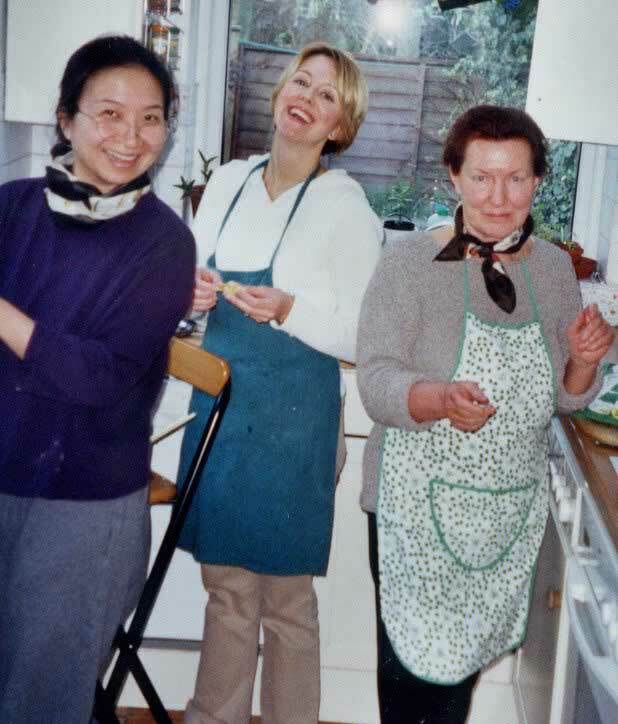 I require copyright permission to produce part of The Diary of Anne Ku which appears on the below link in a book to be published in July. Please can you let me know who to contact for permission as soon as possible. I'm pleased to learn that you have become the more empathetic and sentimental Dr Ku to complement the Analytical Q. (I suspect these attributes were developed over longer than the "3.524" years elapsed since your web site went live... I also assume your thesis entitled you to a DPhil or Ph.D., which now explains why you so easily assimilated the arcane characteristics and depictions of price forecasting models, etc. Apparently, you have been there and done that.) I am relieved that "analyticalQ" is a pseudonym, not an anagram. Re the forthcoming Diary of Anne Ku -- once you become a media darling, you may need new skills and attributes Beyond empathy and Beyond Q. My friend Dennie and I have just discovered your book Many Lives & Many Masters. We are looking forward to reading it to discover the wisdom of the ages. I myself accidentally discovered my past lives at a hypnotherapy session many years ago. It really helped me to discover why I had negative feelings I couldn't explain. It took one year to stop grieving for the people I had lost in this past life. It was as if I had never grieved in my past life and had to go through it in this one. Since then I discovered I had a psychic ability and have spent many evening with entities and apparitions, guiding and nurturing me through my past lives and childhood traumas in this one. I have also developed healing and counseling techniques to help others through my guidance. I definitely agree there is more to healing than the basic conscious work most doctors and healers do but many have to ready for this deep awareness from the soul. I am also aware of the continuing need for me to heal myself from certain events that arise that I have no explanation of. My guides taught me well and have changed my life dramatically through their teachings. I am a more well rounded and balanced soul not effected by certain events anymore and hope to become a healer once I discover the path I need to take. I also feel your book is a gift for me to treasure and reassure others that come into my world that there is hope for them and they are not going insane. Thank you once again for your gift. analyticalQ replies: I merely reviewed the book. I hope your comments will reach the author Brian Weiss. 22 June Hello, I play the violin and I have an upcoming event where I have to play three songs I am kinda of a beginner but If I have to I can play intermediate. I already have one song called Ode to Joy and I need two more songs I was wondering if you had any suggestions also I wanted to play A Whole New World by Aladin except I can find the sheet music anywhere...Do you think you can help? thanks. Got your CD! Nice achievement,so many songs and you play them well. Some of them might make good pop tunes with a little arranging. You caught me at a busy time . I'm leaving for Italy tomorrow with the whole family for seven weeks. E-mail me at the end of the summer and I will respond. 20 June For the number 2 reason why engineers are cool, it could be said that the glass has a factor of safety equal to 2. I am interested in flexibility as general; specifically I am interested in supply chain flexibility. I would really appreciate if I can get a copy of decision-making flexibility book. If not possible how can I buy a copy of this book? Thank you for your mutual understanding. I visited your website and it looks like you had a great time in China! The pictures are fantastic...what beautiful scenery! That must have been some trip! It's nice that you were able to spend time with your father. I also had a chance to look at some of your more recent photo's...you look GREAT! I'm also very glad that you decided to keep your Bon Journal going. How else would I know what you're up to? A day without AnalyticalQ is a very bland day, indeed! If you're interested, Don Henley has some great lyrics in a few of his songs:- NEW YORK MINUTE I particularly like the line: "What the head makes cloudy, the heart makes very clear" THE HEART OF THE MATTER I really like the lines: "Pride and competition cannot fill these empty arms, And the work I put between us, Doesn't keep me warm"
I am writing to let you know of a forthcoming concert in aid of the Nightingale Project (the scheme which aims to enhance the environment at the South Kensington and Chelsea Mental Health Centre through music and the visual arts). The concert is to be given by the remarkable young violinist So-Ock Kim and the pianist Tom Blach, and will take place in the beautiful setting of Leighton House, where many of you enjoyed the last Nightingale Project concert in October. The date is Wednesday 3rd July - please put it in your diaries, and do please tell your friends about the concert. You should find in attachment further details of the concert - with an order form at the bottom which you can return to me to order tickets. If you have any difficulty receiving the attachment, please let me know. Looking forward to hearing from you - and to seeing you at Leighton House. I was browsing websites to submit my poem and came across yours. The name of your website piqued my interest and so I submitted my poem. I am an avid reader, I read everything and anything. My day begins with newspaper and coffee. Without them, I do not feel ready to begin my day. One morning, I woke up with the thoughts of newspaper and had to put it in writing. That's how this poem came into being. I am going to print out your thesis partially. Only two chapters I've gone through. I see where web sites with the story of the missing person is highly needed in each case. Even if it�s only a few pages each. Being involved around missing and/or murder cases for awhile now I have seen a lot of ways where things need to change. 1. Get a page up and the web address -getting it out in every way possible, first through local and area newspapers. 2. word of mouth and 3. With Patty�s case, craft shows around Texas. Utilizing any way possible to get the address out there. Where the facts can be viewed as in your site for Patty�s case. 5 June 2002 I met Frances Ku on Maui, and really loved her work. I write poetry and she addressed me to you. I am also a photographer and a lover of dance. I am sending things in the hopes of showing it to the world. 3 June 2002 I am looking to purchase a straw mat for a wedding ceremony on the beach. What size is offered? What are your prices? Can I have a custom made mat for this occasion? We are very proud to announce our newly opened office in FULHAM BROADWAY, catering for all your SCHENGEN and WORLDWIDE VISA requirements. Backpacker AND Corporate clients made most welcome! I stumbled onto your website by accident and am so fortunate to have done so. I would enjoy speaking with you about the piano and other musical items. If that would be possible please tell me how I can contact you directly. Thanks for making such a wonderful site available to us struggling piano players. I really enjoyed your web site on your piano selections and variations, especially on Fur Elise. I have not been able to print the complete piece, am still working on getting the "aloisen font" to work, but I will. I just received the LBS Alumni magazine with your nice picture. Congratulations for your CD!! I received your CD's and your lovely note. Your music produce such a wide variety of emotions, I can't begin to convey to you which are my favorites. I will tell you though that I thoroughly enjoy St. Valentine, Pentamine, Of the Class of 82, and every time I listen to Making Magic, I laugh. I don't know why, but I laugh. You even make Happy Birthday a special moment. I know you must be excited about the world tour. I am very excited for you. The general public needs to hear your music. Just last night I attended a presentation by David Rosen. He is the author you have reviewed. He told me yesterday that his third edition of Transforming Depression has just been released. I thought you might like to know that for it has a new publisher. I am an art therapist who also appreciates his important work, also. I am planning to write a book review for the American Art Therapy Association and I would like to give reference to your site, to illustrate your response to the book. Would that be OK? Thanks for a very pleasant experience........... You go girlllllllllll !!! I got the CD ! White padded packet with chewing gum like adhesive. The packing is so cool!!! Then I open the packet, and *wow*. Anne Ku's actual original works CD - complete with handwritten note! ultracool. Then I pop in the CD and play it.... hmm.... It's been 4 hours since, and you've been playing on my PC for all this while. Again and Again and Again. Man, you must be tired. You'll have to wait for a while for my favourite tracks. I'm going to let them seep in.... Making Magic....nice. I don't know if you are interested in giving a talk in the Informs conference, San Jose, CA, Nov 17- Nov. 20. As usual, we have an energy cluster, with several sessions. I am soliciting talks for the cluster. It is an occasion that you can make connections. Thanks again for your CD . In the next days over Pentecost I will have time to listen to your music more attentively. I have tried to enlarge a bit my modest `repertoire` and have studied the last movement of Beethoven`s Moonlight Sonata and Pathetique and three Preludes of Rachmaninov. pianist, Houston I am trying to become more familiar with communicating by e-mail. I appreciate having you as a friend/correspondent. I will continue to enjoy your website. Tripped on your website when I was searching for some articles on Tatami mats. Then I read on and found some entries which also caught my fancy such as the one on PC vs Mac ( I'm a Mac fan BTW). Oh, I think, Malaysians and Singaporeans are both fanatical about their food. Anyway, it was quite a revelation to find some people who actually documents down their daily thoughts over the internet. 10 May Okay - a note on the Lennon&McCartney/Beatles chicken joke - That's not a Lennon McCartney song- "Something" is a George Harrison song that he wrote about Patti Boyd. I think you should fix it!!! I liked you diary better. Just seemed a little more interesting than the journal. A better mix of life. The journal had more of a slower feel to me, some of the entries I would lose interest in before I finished reading. Not that they were anything but good but there wasn�t that feeling of the person behind the site. Less personal I think. You are a creative person and you have inspired me many ways through your creativity. I have decided to follow your advice and example and do my own site. Why stop, if you have the time to write? It is your way of self expression, not vanity! 29 April Keep up the journal/diary -- it seems like it helps you out and it's good reading. I look forward to the content! 28 April Do you issue a free newsletter ? Hi Anne! I absolutely love your website!! I am a dedicated reader of your Bon Journal. I would like to strongly encourage you to continue your Bon Journal. I like the wide variety of topics that you cover on a daily basis. I am sure it's challenging to come up with these topics. It's nice that there is a forum to freely exchange ideas and concepts with you. I think your Bon Journal is that perfect forum. I hope you consider keeping your Bon Journal. Take care, and have a wonderful day!!! I wish you can continue. It is great for me to see someone who can make every new day a beautiful day. Actually it is not so great to know that I have not been able to do so. I have been a free rider: reading your daily writings to remind myself that the life can be better than lived by most people. I will write you more when I figure out how to persuade you to continue the supply of this quasi public good. At the moment, I can only say that I would not stop if I were you - I would be very happy if I could inspire many people to create their beautiful lives. I continue to catch up with the journal and read the "living together" entry and the comments regarding marriage. Anyway, my two cents: I realized that I wanted to marry my wife when I realized the "finiteness" of life and our time together. Obviously, I'm not a religious person. Something I read in "A Father Speaks" struck a resounding chord in me, I thought I'd just mention it to you. When you state "It's as though their families are more important than their work. ", you sound disbelieving. I thought it interesting to think that somebody can have that perspective, that these are comparable entities as far as level of importance. To me, they are not. As you mentioned, I am a "father understanding another father" which explains everything, of course. Hi, I don't know if you can help but I have a question. I have a really bad ache in the heel of my left foot on the inside. It is so painful I can't walk on that foot. I know it is my sciatic and spine area. I don't know how to fix the pain. My lower back is not bothering me but my foot is in pain. I have tried pressure on it but it will not get better. Please help me fix this and if you can't help please lead me to someone who can. Thank you so much. 11 April Is there anyone who can send me the full version of Fur Elise by Beethoven? Please help. If so I will give my home mailing address so it is sent there. 11 April Hi, We listened to your music today on your website (my 9 year old son and I) an we really enjoyed it. Thank you. How is your remodeling coming along? Has it started yet? How was your Easter concert? I enjoyed your journal entry "2050" and I really like the "Travel Stories" section! Your last entry somehow made me cry a little. It seems so sad, the way you put the passing of our lives. Will we be thankful for a life full of joy and rewards? Or do we choose to be regretful for all the missed opportunities? Hey, when can you put new music in here like some Britney Spears, Nsync, Backstreet Boys, Mariah Carey and lots other I want to learn their songs for free. I play the flute so please help. I need free sheet music of them. so please help I'll be very grateful. Is Anne Ku a person or an IT team? But it's interesting. Keep up the good job. Having write your diary made me feel as I'm a thousand miles away from Indonesia. Had a look at your site. Very impressive! Good luck with your forthcoming tour. I am looking to gain international experience and would welcome the opportunity to work for your company. analyticalQ reply: It sounds like you're impressed by this site. But unfortunately, there's no money to pay for anyone willing to work on analyticalQ at the moment! You're right, you're too petite to bear prickly thorns, too tireless to wilt at night, and certainly not a tulip or daffodil that never stands out in a crowd. How about the orchid - strong yet petite, gracefully energetic in the winds, with her intoxicating colours and hues emanating a charismatic personality that bears exuberant charms constantly reminding the observer of her refreshing youth and quiet elegance. Of mystical oriental origin, the orchid has found a stronghold in Europe as evident in Kew. Confucius has likened her scent to the fragrance of the Kings and ancient Greek philosophers have honoured her with great therapeutic value; just like your music. Your site is very helpful and I wonder if you could help me further. We are getting married in 6 weeks and searching for the music (and here's where it gets tricky as we don't know the title of the piece) that's traditionally played AFTER the service as the bride and groom walk down the aisle as husband and wife. We've been referring to it as There Goes The Bride although we know this isn't the correct title. We'd both be so grateful if some kind soul could point us in the right direction for the organ sheet music. I am also constantly fighting clutter. Since we've moved, I was able to get rid of a lot of stuff, but I find I'm more prone to buy more boxes and carefully label and organize my stuff than I am to get rid of it. I've still got most of my college clothes, like those are ever going to fit again. I am interested in buying some of the books on the list. What price are you seeking? Thanks for your note and the link. The songs (3-part act) actually were produced and played as part of a special on the Australian Broadcasting Corporation, of all places. By the way...your music is lovely. Let me know and I'll buy one! Paypal? Book sale: I definitely want a few of these, especially the Paul Wilmott one, and any other beginner/student quant ones. Congratulations! Are you selling your CD directly to end-listeners, or did you sell/license a CD to a label for release, or ??? Hey, I really was impressed with the insight, offered by the "Deregulation Blues" entry. An eye-opener! Sounds like you are rather downbeat this February ... I'll be in London from March 17-March 25 - will you be a) around, b) single, c) still down? If Yes on a lets meet and discuss b & c! Thank you for the London info. I'll be staying with friends, so won't need the hotel info, but the other stuff is great. Once again, I am amazed by your website and spent quite a bit of time surfing around it last night. Where do you find the time and energy? I actually found your site while looking around for original music. I have many original musical compositions I wrote using cakewalk but I don't really know how to share them with anyone. I am just curious if you have any advice for me. PS I love your website and thank you for posting my poem. Virginia Have a professional question for you. Off the top of your head, do you have a rough estimate as to what percentage of generated electrical power is lost during transmission through the power grid? After we met again last week at E-World and you did the women's interviews, I followed up and came to your site. It wasn't what I was expecting at all. It is really fantastic. I love your writing style and the whole site just has a really great atmosphere - if that doesn't sound an odd thing to say. It's very inspiring too. Anyway, I didn't expect to find something so nice from a work related issue! Just over two years ago my wife and I took a leave of absence ..a year off ! .. from our jobs to travel the world. I work with Sprint in Kansas City, MO. We visited Vietnam, Thailand, Malaysia, Borneo, Singapore, Zambia, Australia, Ireland, Scotland and a few other countries. Recently we started writing short stories about our adventures and experiences. Your site was recommended by a friend who suggested I send in a story or two. We are now planning to go to Chile in April 02 for our first visit to South America. 11 Feb 2002 I so enjoy your website...you look GREAT! Analytical is just so boring w/out the Q. With that slight typo fix, I found the new parody page. Very amusing. Deanne was even more thrilled to see the tests available via your website. Your website continues to grow in very interesting ways. I enjoyed reading your journal entries about your clutter conquest. You have some wonderfully keen & insightful observations. And I want you to know that we are actually on the same wavelength RE: the topic of letting go of emotional clutter/baggage--I will be covering that in my next book. From your web site it is obvious that you are a very talented, intelligent, multifaceted & giving person. Thank you for sharing your gifts the way you do. Your revised 11/Feb journal, interesting insights. I thought you could summarize the first 4 reasons for clutter into just two forms of mentality: "kia-soo" and "kia-see". Deal-prone mentality is just a variant of the kia-soo mentality, the fear of "losing face" or missing out on a good deal. The Sale is just too good to pass. In principle "kia-soo" is a symptom of the fear of being perceived as foolish, but in reality the result of acting kia-soo is often more foolish than the face that is lost. That's why "face value" is often worth more than economic value. Then there is "kia-see", literally the fear of dying, or simply the fear of not having a contingency plan, also commonly the "just in case" mentality. Redundancy being the easy way out. Hence the unnecessary collection, the excessive inventories, and the excuse of waste avoidance. You mentioned of physical clutters and cyberspace clutters, but there's an even more potent form of clutter - the emotional clutter! The emotions we harbour for love lost which we fail to let go, the guilt we accumulate for deeds done wrong, the emptiness we hold when we fail to acquire our heart's desires, and the fear we hide when we decide not or act not. Yes, emotional clutters, and everyone has a closet full of it... what damage they do to our heart, our mind and our soul. Letting go of emotional clutters, is this an act of accountability, or an act of discountability? Is it cleansing of guilt or disowning of guilt? Something to ponder about. Your 4/2/2002 posting raised some questions in my own mind too. Yes, it's sad to belong when the right one comes along, or so I found out. The truth remains though, that the one you belong to in the first place was perhaps the "right one" when he/she first came along... so in a relation of commitment, does one have the right to abandon the first commitment when another seemingly "right one" comes along? And how does one know the next "right one" is really any better than the previous "right one"? I wonder. It's really a juggling and balancing act. It's not like picking wild blueberries where you can literally see almost the whole universe of blueberries on the one tree. In relationships, you cannot possibly realize the universe that exists even in your own immediate proximity let alone when globe trotting or cyberspacing. Having just one egg in one basket is better than plenty of eggs with no basket to put them in. It's like picking lots of wild blueberries only to find you have no jar to put them into, then you begin to fumble and drop them and you juggle to save the best ones, meanwhile getting pricked by the thorns and stung by the insects in the process, not to mention getting your face wiped by cobwebs. Flings and stings, I say... that's an act for the circus clowns in life! Thank you for your kind support! I got the .TTF files, but I cannot install them. I tried on a Windows 2000 and a Windows 98 system, and both replied (my translation): "Error ... The file opus....ttf wasn't a valid font file". From where did you got these files? On which systems do they run? Maybe we can find a conversion program to make them readable by Windows. The .GIF files work, but they are not so nice because resolution is very low. Mr. Bickley? Harold E. Bickley, pessimist extraordinaire? Can't be the same Harold Bickley that attempted to teach me Algebra in 1970 in Fort Worth...surely not. Where was he teaching when you crossed paths with him? If it is the same guy, I have a story about him...one that I think you'd love, judging by your web site on him. Thanks for your information. I am a PhD student in Electrical Engineering in Strathclyde University and my professor suggested me to do the research about risk management of power market. Recently I read a number of risk management information on financial market. However, the power market is different from financial market. For example, the volatility of electricity price is very high with some spikes. Traditional models can't be used on power market. Do you have any suggestion on this topic except reading 'option'. Thanks a lot. 31 Jan 2002 Please, kindly let me know how to subscribe for any of available magazines free. 29 Jan 2002 I read with interest your review of the Royal Albion Hotel, Brighton. You may like to note that it hasn't got any better since your visit in October 2000. They "hosted" my wedding in December 2001 and I can honestly say I've never encountered a more amateurishly run establishment - and I've seen a few! 26 Jan 2002 I love the sound of the Fur Elise variation. For some reason though, I am unable to get the full score. The sample comes in fine, but when I try to download the full score. I get a message saying that it could not find the application. If you could please help me or send me the music I would appreciate it very much. Thank you. Your new guestbook with picture upload is really cool! May I suggest putting a link to it in the homepage of "Guestbook" instead of just only the "July-DEC 2001" page ? I had some difficulty uploading a picture, twice it halted when I clicked "submit". I hope that will not result in multiple entries! 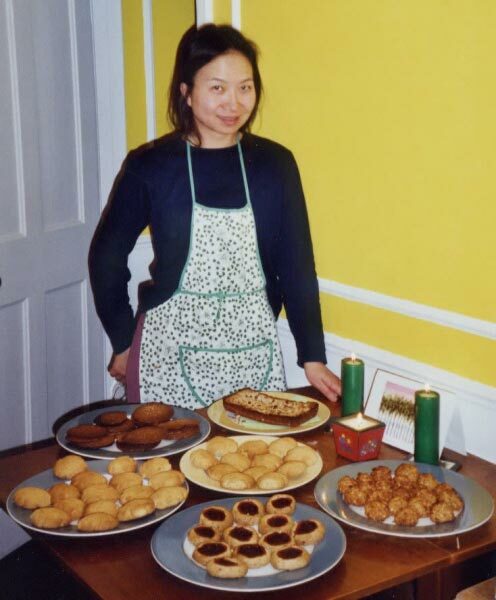 I really like your picture of 24 December 2001 in the Journal, you have a very cheeky smile and also a delightful assortment of baked goodies... can't say which looks more "inviting", the goodies or your smile! Nice seeing you today. I enjoyed your Enron memoirs. Have you ever considered writing a book about women in the male dominated energy industry? Anyway, I wish you all the best, and keep writing those articles. The world needs enlightenment and education. But the more astounding thing about you is that you have put your life on the web. My only question is why? I have read your web site and learn so much from your papers. Thanks you very much. I am very interested in the electricity price volatility and how to hedge it. However, my background is not financial or business field. Therefore, I don't understand some economic items, such as call options, option values. Would you please to tell me how to look for some introductory books and good web sites. By the way, would you please to give me some valuable suggestions about my research. Which topic is good for me to do the research in ' Risk management in power market' field. I loaded down your file http://www.analyticalQ.com/music/pdf/birthday.pdf, but I cannot use it because the musical symbols are not displayed OK. Do I need to install a special font? 16 Jan 2002 Anne- I remember you in the Lo's Lo's - the 1982 talent show at Kubasaki. I was running the spot lights. Don't know if you remember me. I was 3 years behind you at KHS. About busted a ling when I found your website. 10 Jan 2002 Do you have an address or website listing for Magnificent Mouchoirs--I can't find anything?? 2 Jan 2002 Where can I find piano and flute arrangement of the "Theme from Titanic" in real audio?